In 2010, internationally recognized street artist Banksy whose identity remains unverified—ventured through San Francisco creating street art while his documentary film, “Exit Through The Gift Shop,” premiered in the area. 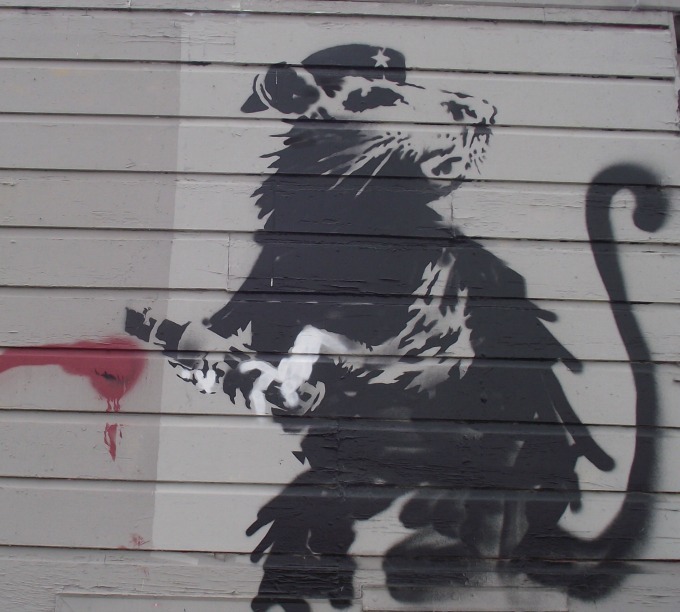 One of Banksy’s images from that time, “Haight Street Rat,” was tagged on the side of a building that housed a bed-and-breakfast, and it was rescued in recent years from destruction by Brian Greif, an artist, art adviser and curator. Greif caught wind of the potential removal of the Banksy tag, and worked with the building’s owner to safely remove the redwood planks on which the iconic image was painted in order to preserve it. Since then, Greif’s mission has been to take the painting around the country for public viewing before it ends up in a private collection.